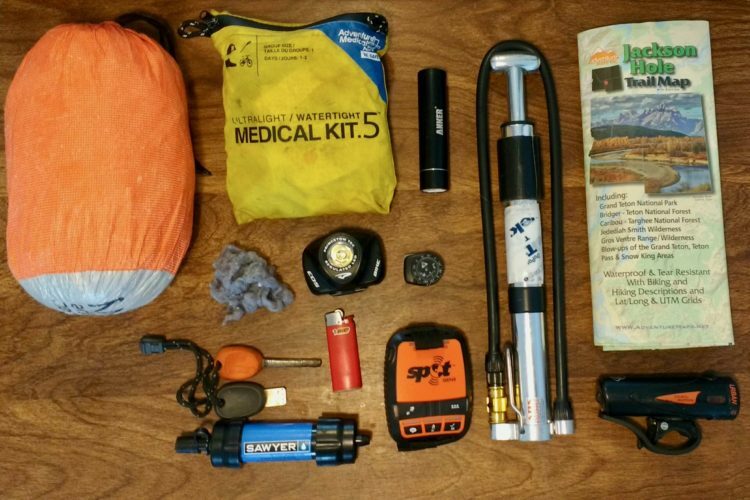 If you do any bikepacking, you’ve no doubt heard about the kLite Bikepacker PRO light. 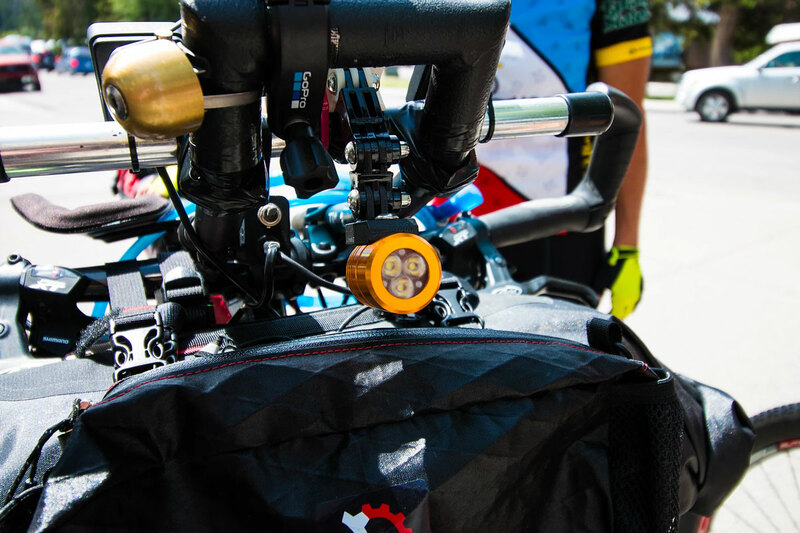 kLite claims it’s the brightest dynamo bike light in the world, pumping out up to 1200 lumens, and it was used by many of this year’s top Tour Divide finishers. 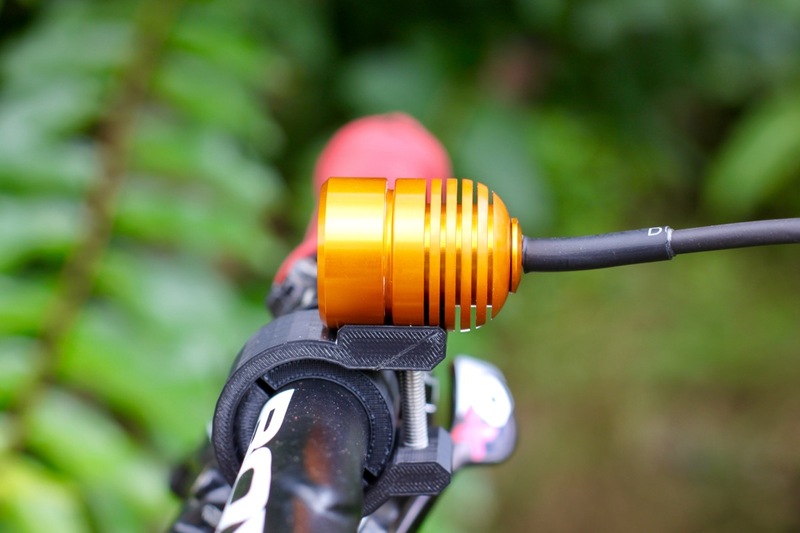 I’ve been testing the kLite PRO over the course of several night rides, and I found it to be reliable, easy to use, and extremely well designed. Schmidt SON 28 dynamo hub with plug connected to kLite Bikepacker PRO. 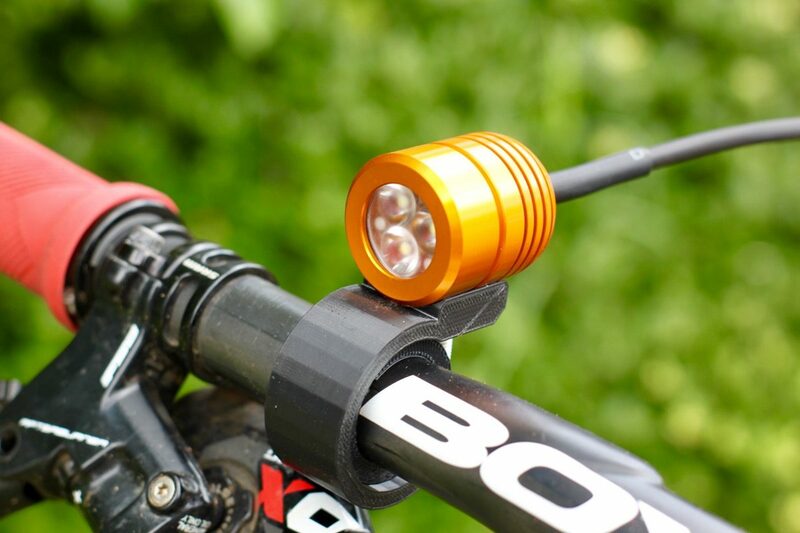 First things first: kLite sells a bike light system, but not the requisite dynamo hub. There are a few dynamo hub choices on the market–notably from Shimano and Schmidt–with prices starting at $100 and going up to about $350. 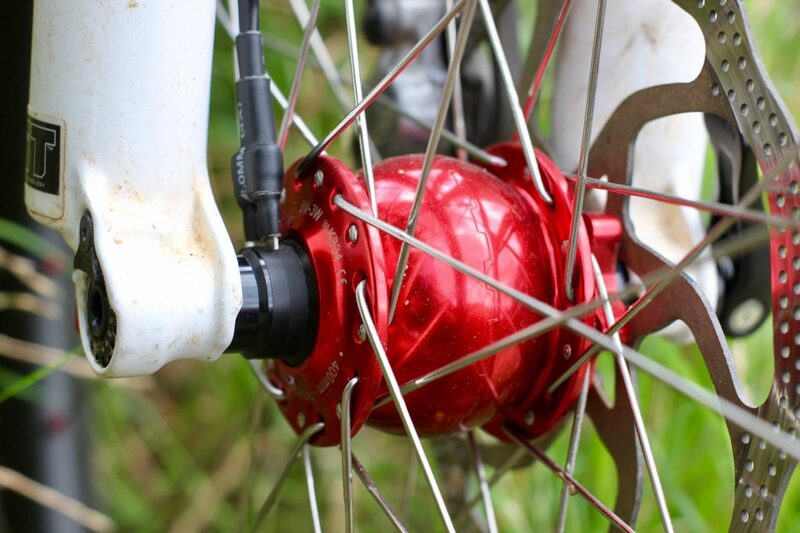 These hubs are heavier than normal hubs, and obviously require building up a front wheel around them. But once a dynamo hub is in place, it generates free power for lights and other electronic devices. Well, almost free. 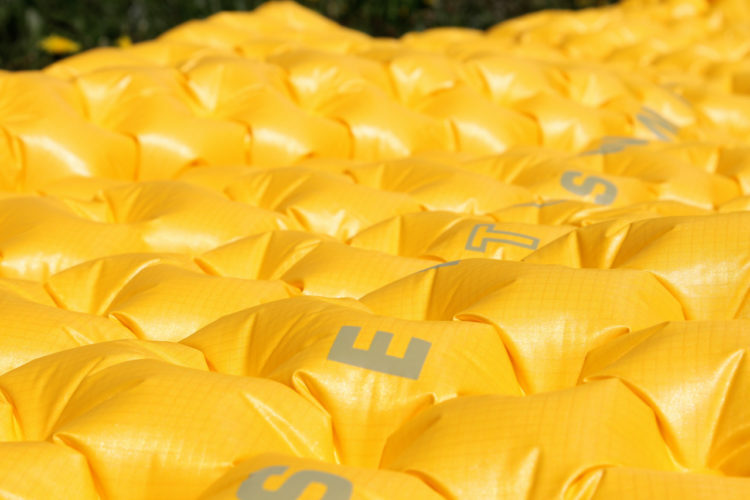 Whenever power is being drawn from a dynamo hub, it adds resistance. This isn’t really noticeable when descending, but riders can feel the drag when pedaling. 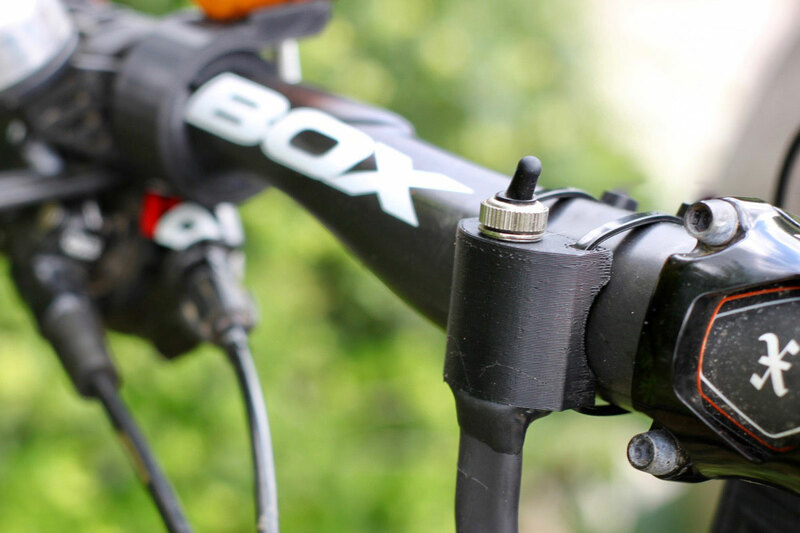 Dynamo hubs, by themselves, only deliver power when the wheel is rotating. Essentially the faster the wheel is spinning, the more power it delivers. 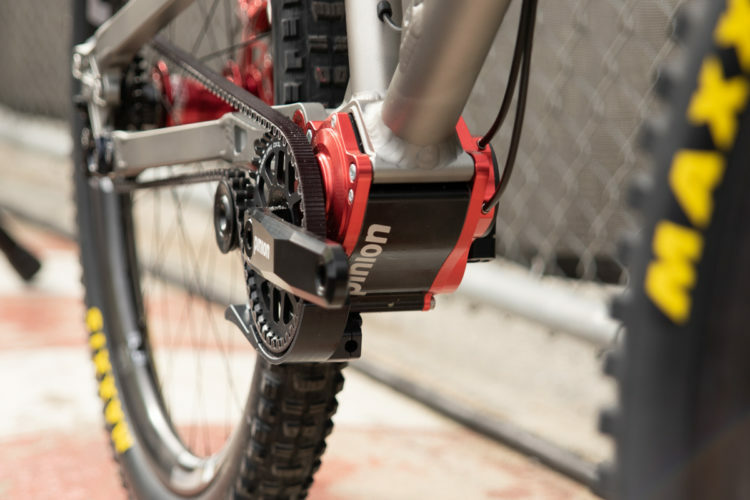 With the limitations of dynamo hubs in mind, kLite has worked for years to come up with a design that efficiently harnesses dynamo power and delivers it reliably. 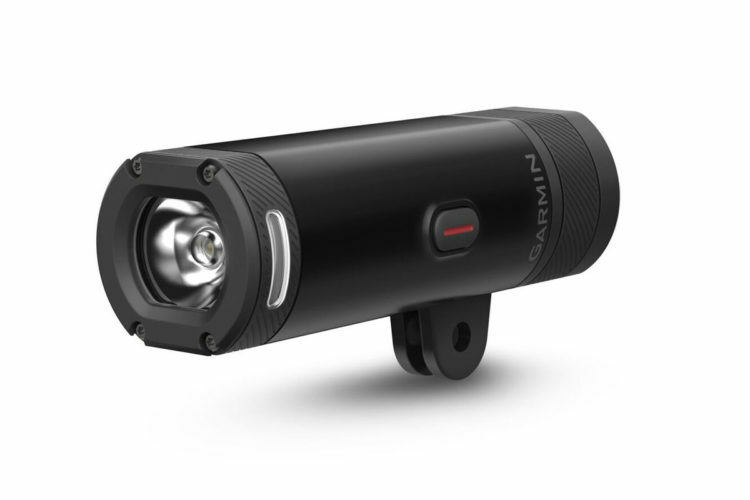 The basic system consists of the light, a capacitor, and two switches–one to toggle power between the light and an optional USB charger, the other to toggle the brightness of the light between 700 and up to 1200 lumens. The light unit wraps 3 LEDs in a simple round, aluminum shell that weighs just 50g. The overall beam pattern is pretty basic, designed to be handlebar mounted and used like a car’s headlight. The included handlebar mount doesn’t allow for any side-to-side swivel, which meant my light never pointed 100% straight due to the sweep of my bars. Fortunately, the light cuts a wide beam pattern to compensate. Brightness switch with built in capacitor, aka Standlite. The switches are oversized, which makes them easy to find and flick while riding. There are no buttons or switches on the light unit itself; a separate switch toggles between bright and extra bright modes. This switch box also contains a capacitor (not a battery) called Standlite, which stores an extra charge whenever the hub is generating power. kLite says the fully charged capacitor can generally power the light long enough for bikepackers to set up camp for the night. Based on my tests, I can confirm the light continues to glow, albeit more dimly as the minutes wear on, for up to an hour after it’s been fully charged by the dynamo. 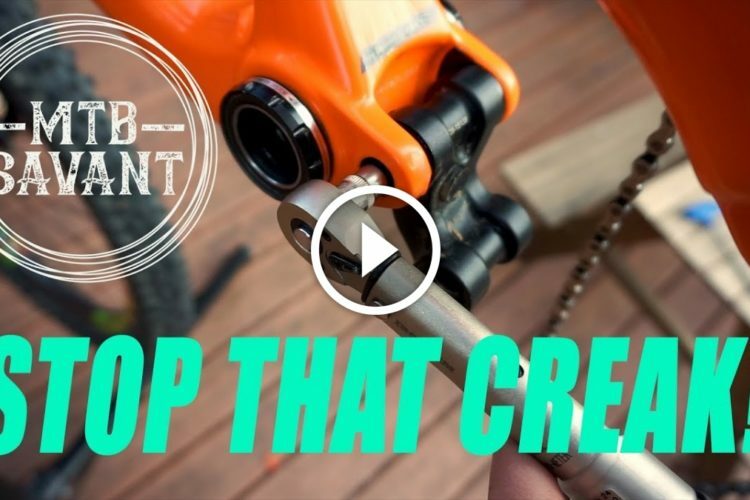 For fixing a flat or stopping to get something out of a pack, there is more than enough time and light to get the job done. The only drawback with this capacitor / switch configuration is that there is no way to quickly turn the light off completely once it’s on. In situations where one might want to slip into stealth mode, it’s necessary to use a hand to cover up the light. A second switch, included in the $265 USD kit, toggles power between the light unit and an optional USB charger. I didn’t test the USB charger, but I did use the switch to stop the light from drawing power during daylight rides. As I mentioned earlier, a dynamo hub will only produce resistance when power is being drawn from it, and by switching to the (empty) USB lead, this allowed me to conserve leg power when I didn’t need the light. kLite connector. This is where an optional USB charger ($120 USD, sold separately) can be connected. All of the wiring in the system is quite robust, designed to hold up to thousands of miles of constant rubbing and chaffing. Part of the genius of this system is kLite’s connector system, which makes adding and subtracting parts–like switches and USB converters–simple. On most Tuesday nights, I go on a 2-3 hour night ride with a group of friends. And yet somehow, I still forget to charge my lights more often than I care to admit. 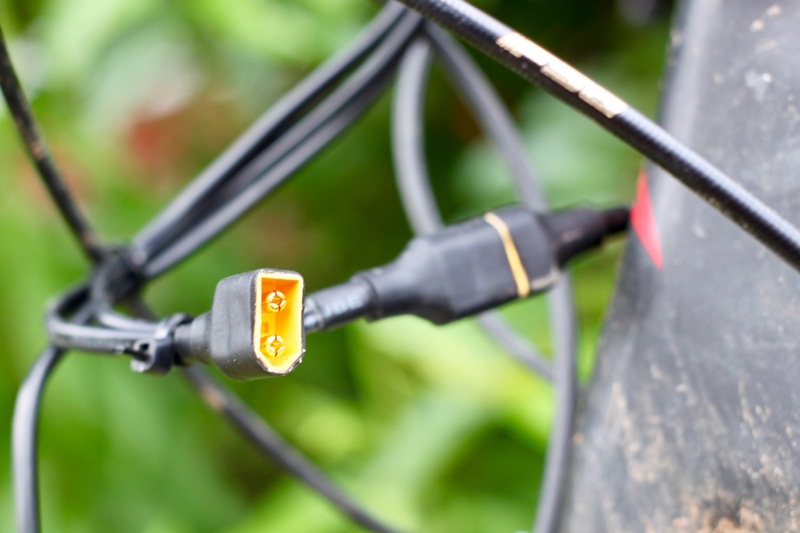 While testing the kLite Bikepacker PRO, I never needed to think about charging lights, which seems like a small thing but is actually quite freeing. I also saved a few pennies on electricity, though I promptly spent those pennies–and more–on extra pizza and beer to make up for the additional energy I expended. At least, I told myself I deserved more pizza and beer for my effort. 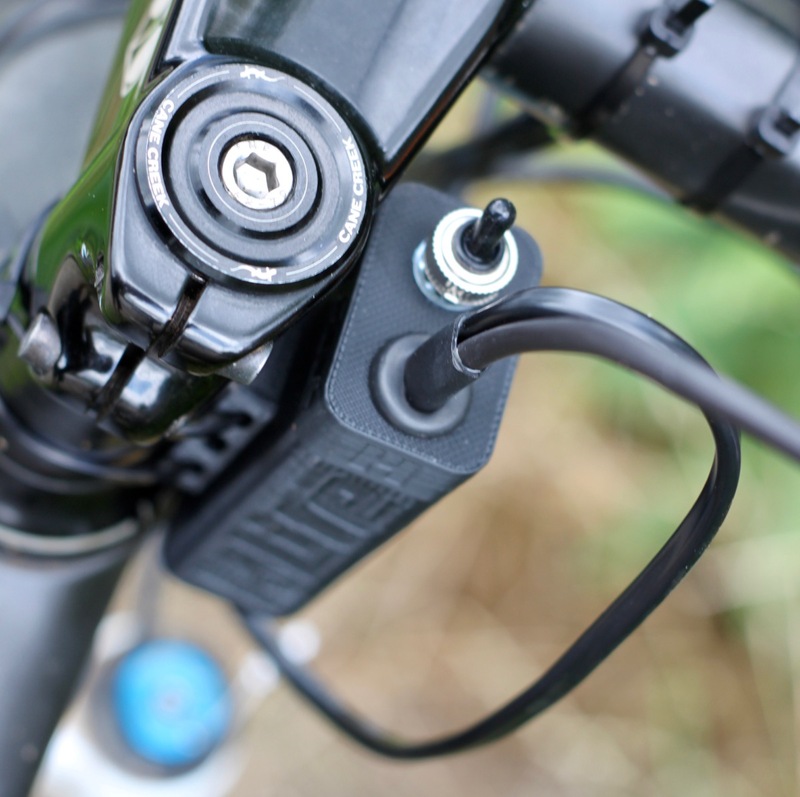 The kLite Bikepacker is designed to run just 2 of the 3 LEDs at speeds below about 8mph (including 0 mph if the capacitor has a charge). 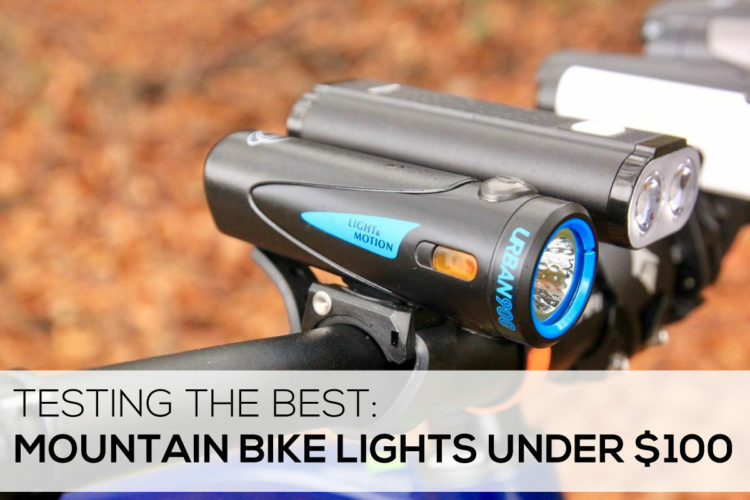 Once the bike gets above 8mph, the third LED kicks in to give off up to 700 lumens. 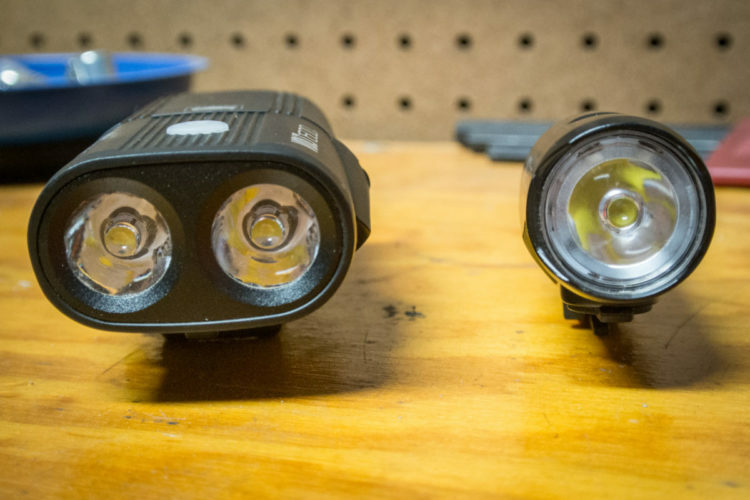 With the brightness switch set to high mode, the light will throw up to 1200 lumens as long as the bike is moving 13 mph or faster. This all sounds very complicated–and believe me, I was just as confused when Shey from kLite USA explained it to me–but in practice, it’s all very seamless. The upshot: the light can get brighter the faster the bike moves, which is exactly what riders need. During my test I became absolutely giddy with excitement each time I crested a hill and began to descend, the light automatically switching into high mode at exactly the moment I needed more light. Seriously, one of the only other lights I know of that can do this is the Varia from Garmin which relies on freakin’ GPS to vary brightness by speed. 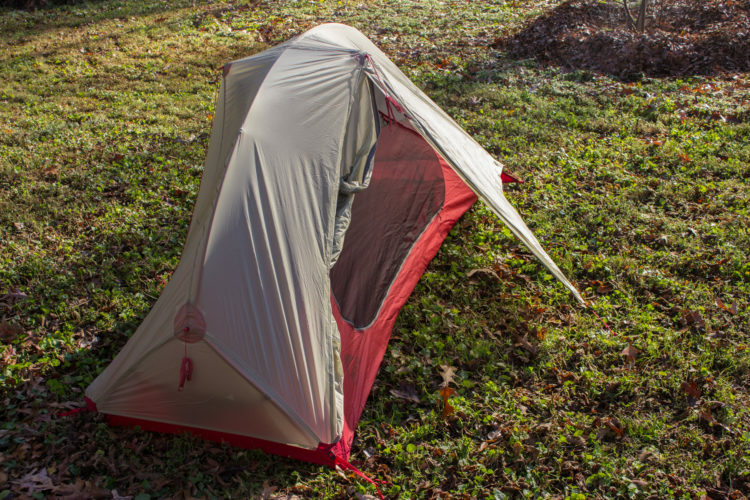 Yet, the kLite does this without even using a battery, and it will last through even the longest Alaska winter night. Overall, I love the functionality of this light system–I just wish it wasn’t so dang bulky. All of the wires and switches are daunting, and require a serious routing and mounting strategy. 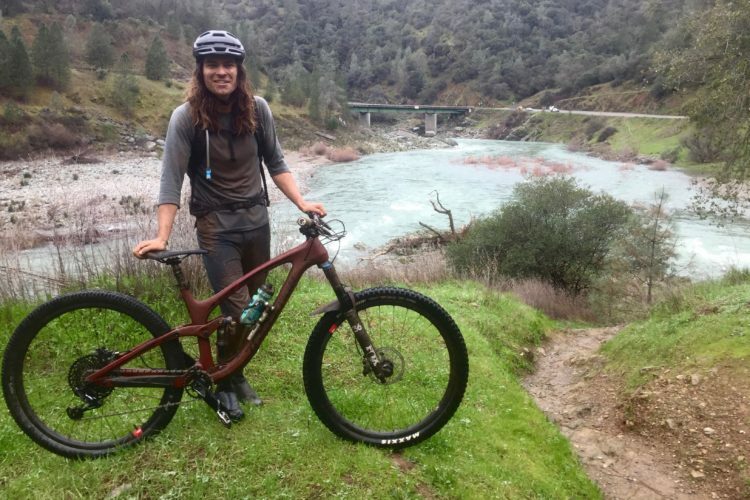 Sure, this is par for the course when it comes to bikepacking rigs (see photo above) but it still seems a bit unnecessary. It’s no wonder “professional” bikepackers are choosing the kLite Bikepacker PRO for their adventures. Thanks to its bright light, durable construction, and infinite power supply, this is one light that won’t leave anyone in the dark.